At the New World Mall food court, stall number 10 is Xiang Ba La. I was able to sample a couple more cold dishes from them: slippery mung bean jelly noodles coated in chili oil, and cucumbers dressed with vinegar, sesame oil, and a sprinkle of mouth-numbing Sichuan peppercorns. 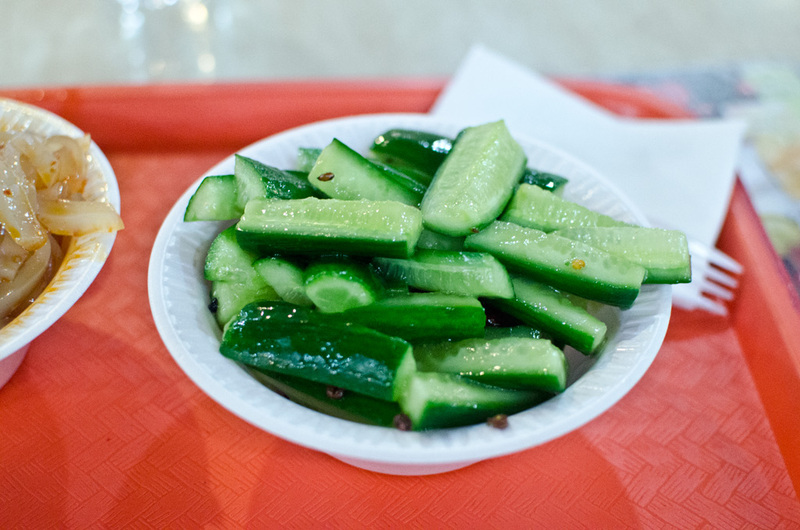 These were great compliments to each other — the heat from the noodles was nicely offset by the sharp vinegar and cooling freshness of the cucumbers. At the newly opened New York Food Court the best dish I had was from Guchun Private Kitchen, which specializes in food from Huabei, or Northern China. 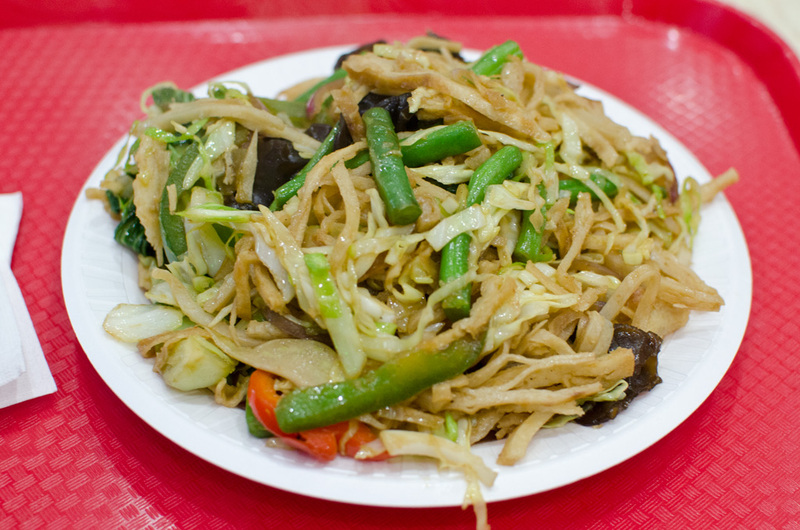 They use a type of Chinese pancake in many of their dishes, including this one — the pancakes are sliced into noodles and stir-fried with veggies and spices. It reminded me of a Sri Lankan dish called kothu roti I had once, but with less of an Indian influence and a lot more fresh vegetables. The food courts in Flushing are nothing like the mall food courts I grew up with in suburban Virginia. They remind me more of the food stalls I visited in Singapore and Malaysia, but instead of a long plane ride Flushing is just a subway ride away. The food courts are also very close to Spicy & Tasty, so you can stop by to get some of their excellent bamboo shoots to go.